Jimmy R. Gables is a Senior Vice President at Southeastern Commercial Finance, LLC. 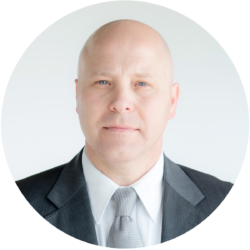 Jimmy has devoted the last 17 years to Asset Based Lending and has extensive experience in account management, audit, and problem loan workouts. Jimmy helped develop the Audit Department at Southeastern Commercial Finance, LLC, which all the auditing specialists use today. Jimmy’s primary function has been portfolio management for Southeastern Commercial, however he participates in underwriting and business development as well. As part of this process Jimmy manages new client orientation and relationship establishment. Additionally, Jimmy serves as the primary workout specialist for troubled loans and rated credits and works with a network of Turnaround Management Specialists in the industry. Jimmy maintains many bank relationships throughout the southeastern United States in both regional and national banks. These relationships include, but are not limited to, managing Southeastern Commercial loans that are participated with banking partners, as well as monitoring direct bank loans for banks without an ABL department. Jimmy has trained in many industry related schools and workshops, including The Lenders Podium workshop taught by Bob Zadek, who was part of the drafting committee of Article 9 of the Uniform Commercial Code. Since 2009, Jimmy has served as an instructor for the Commercial Finance Association (CFA) in the “Asset Based Lending and Factoring Fundamental Course” that is taught twice a year. His teaching has taken him to Atlanta, Chicago, New York, and Toronto. Jimmy is a native of Gadsden, Alabama. In his free time Jimmy likes to fly fish, hike, camp, run, coach youth sports, and spend time with his wife and three children.